Want to finally fill your events? 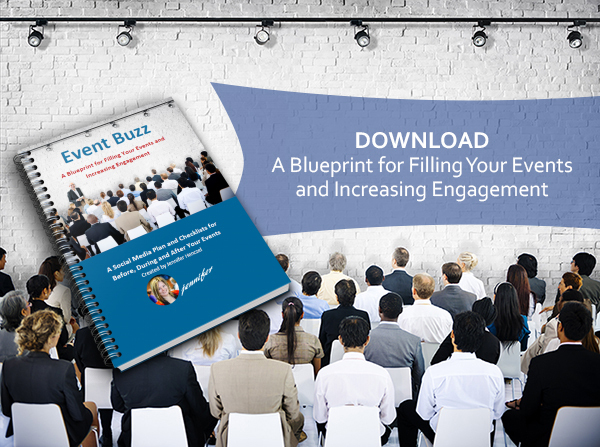 Thousands of people have downloaded this plan and have used it to increase their event engagement and attendance. Hi, I want to let you know that I was where you are at, and I want to help you. In 5 years,I started my network and I’ve expanded it from 1 chapter to 12 chapters, and growing. I’ve produced sold out conferences, meetups and seminars, and now I want to show you all my strategies. Learn how to increase attendance and engagement. Find out about the tools experts use for planning and promoting your event. Discover scheduling and automating processes that will save you time and create more opportunities. Learn top strategies for using social media to create buzz about your event. Learn about getting others on board to spread the news about your event. Explore the pros and cons of the top online platforms for event registration and integration. Check your email for your gift.